Church isn’t just a building, but a people sent out into the world to accomplish God’s purposes. Going to “church” on Sunday mornings (maybe arguing on the way), reading your Bible when you can squeeze it in, praying here and there, tithing, attending a church outreach event or potluck, and maybe even a neighborhood block party. Oh, and I almost forgot, having “that Jesus conversation” (awkwardly) with your neighbor because you feel guilty about not sharing the gospel. This may not be your personal faith journey, but I know far too many people and families with an experience like this. Not too long ago, that was my story too. But, I began to experience a holy unrest. Once God opened my eyes, I began to see something deeply misguided within the four walls of “church.” I know I am not the only one, many sitting in the pews feel this unrest, an inkling that something isn’t right. What is it? What is missing? What leaves many of us walking away from a great Sunday morning message only to forget it hours later? What leaves us wanting more? Not too long ago, I had a conversation with my parents about their journey with Christ. Over the years, I remember my step-mom saying things like, “Isn’t there something more to being a Christian than going to church, attending Sunday school, singing in the choir, and serving the poor on holidays?” Asking the question, but never receiving an answer. How could these Godly people that have been walking with Jesus, and still feel this way about the church? Or … you may just be experiencing the same holy unrest that myself and many others have. 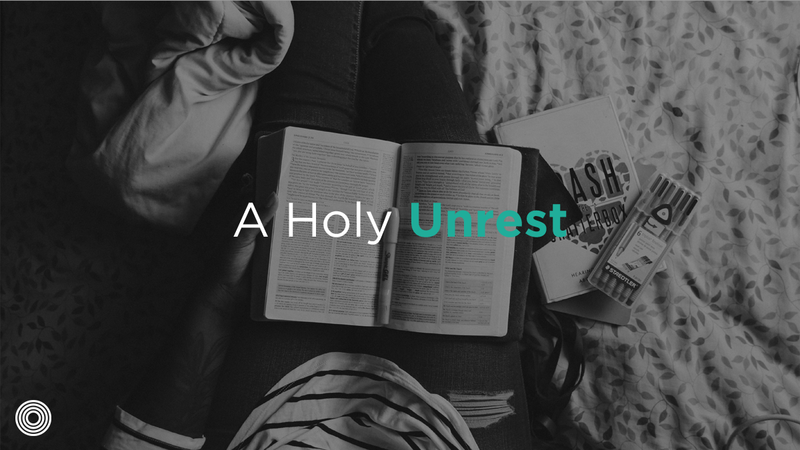 I’ve come to understand that the holy unrest, the desire for something more, is actually what drew us to follow Jesus in the first place…IT’S JESUS and we want more of him! We want more of his desires. The Spirit creates a holy unrest in our spirit so we begin to question and look for answers. The answer to my step mom’s question, ‘What’s missing?” is Jesus. The reason I felt a holy unrest was because Jesus was stirring in my heart, guiding me to desire more of Him and what He longs for. I am convinced that Jesus never intended us to meet with Him for just an hour on Sunday mornings and a few other times during the week. Jesus wants to meet with me (and you) all the time. 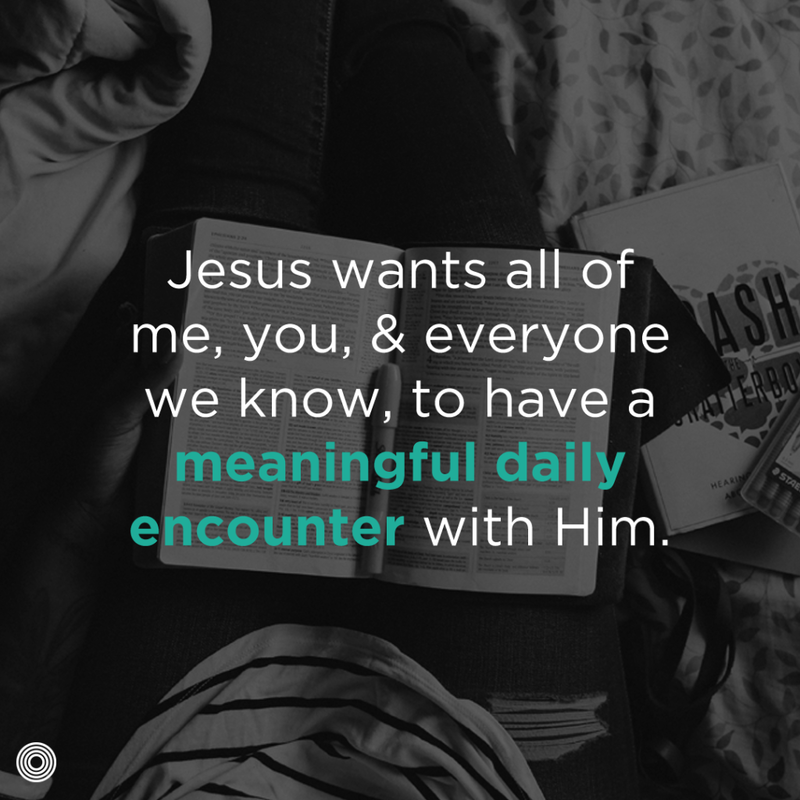 He wants all of us, and everyone we know, to have a meaningful daily encounter with Him in word and deed. Jesus is committed to bringing us to these encounters so that through us he might saturate every city, every neighborhood, every street, every house, and every aspect of society with His presence. He desires to do it in and through you! Habakuk 2:14 tells us that one day “…the earth will be filled with the knowledge of the glory of the Lord as the waters cover the sea.” Jesus is that Glory (Heb 1:3) and He desires that everyone, every house, every street, every neighborhood, and every city to experience himself. What an amazing thought, what a daunting thought?! Sadly, most people sitting in the pews on Sunday don’t even realize they’ve been called to more. They don’t know how to bring the good news of Jesus into their everyday lives because they still think church is just a building they go to, not a people sent out into the world to accomplish God’s purposes. Zac serves the Saturate team as Executive Director, and as a trained coach, heads up the coaching and partner connections for Saturate. Before moving from NE Ohio to the Seattle area, Zac was VP of sales and business development at a medical tech company. Additionally, Zac is a church planting resident with Soma Sending and director of student ministries at Doxa Church. He and his lovely wife, Kristin, have three bundles of energy: Eva, Gracie, and Judson.